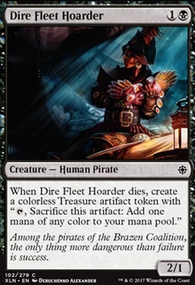 Im taking the treasure theme is to get Vraska or Dire fleet ravager out ahead of the curve? 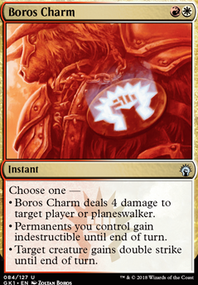 You will probably want to get more copies of the uncommons to help your deck be more consistent. Admiral Beckett Brass would fit well, as well as Rigging Runner. Let us know what kind of budget you have to improve it, or if you have some sort of value card you could trade to people at your lgs to get more of the cards you need. 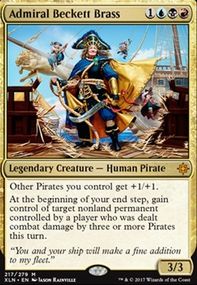 I think Kitesail Freebooter Siren Stormtamer and Lightning Strike all need to be play sets. I would try and cut commons, especially non pirate ones. 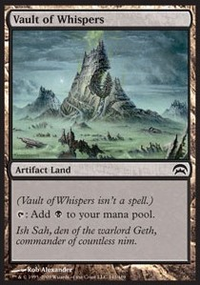 Crypt of the Eternals would be worth checking into since they are cheap and could fix your mana in a pinch. 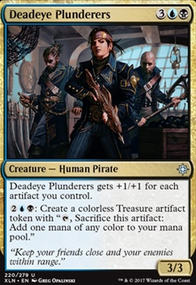 Desperate Castaways should probably come out as well, it has some value but if you arent churning out treasure you onlys have 3 artifacts, and there is a good chance you will want your treasure to cast spells. Argy on Ahoy, Me Hearties! Please link cards like this in future, so I can more easily see what you are saying. I don't need another 1/2 Flier in the 2 drop slot. 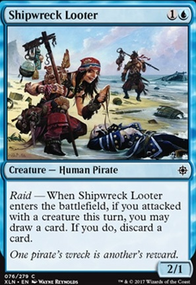 Kitesail Freebooter is weak as it is, the only advantage being that it can grab a card on the way in. Siren Lookout is even worse value. Another 1/2 Flier that MIGHT get you card draw ONCE, and costs ? There is no way in HELL that I would waste Siren's Ruse on flickering it, when I get so much value when using it to flicker Hostage Taker, or Dreamcaller Siren. 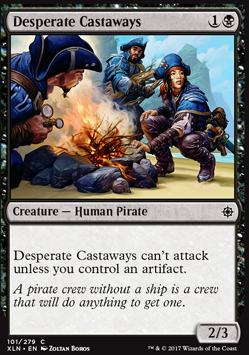 It's VERY sad that you can't see the value of Desperate Castaways, which has strengthened the deck so much. Terrific for early defense, and the extra copy of Aethersphere Harvester sees it ready to attack on Turn 3, most of the time. I'm going to ask you to hold off Commenting on this deck for a while. In the past couple of days you've made FIVE Comments, which is a lot, and you seem to be ignoring the reasons I've given in the Description for my card choices. My partner StuBi and I have been playtesting this deck irl and it's working very well. That's a very different situation than playtesing against oneself. Stormy101 on Ahoy, Me Hearties! Hey, its sad you think Fathom Fleet Captain isn't making a difference as you hoped. I have been playtesting the deck too and i can see that i have problems with the guy too. It almost feels shackling with him since i hold off resources to make several pirates and I don't get many chances to use it. I don't think it is that bad but you have your reasons. I was hoping i could convince you to not use Desperate Castaways for its replacement. Id prefer Storm Fleet Aerialist . My reasons are that it doesn't have any attacking restrictions, its flying, it has the ability to be a 2/3 like the castaways and it can still crew the harvester. It's entirely up to you but i just wanted to recommend it. Hope it works out. JankDeckWins Thanks, man. Totally agree with Slasher comment. I've replaced them with Desperate Castaways. It's not super awesome or anything but they are better than Slashers. They can block tokens all day and 3 toughness is good enough at 2 mana. Dhund Operative however is sweet. 3/2 for 1B is great and deathtouch is relevant when facing Anglers and what not. Glaze Fiend is such a beater though. There's enough 0 cost artifacts in here to have it swing hard (6+ damage) as early as turn 3. They make Walkers better than I originally thought.